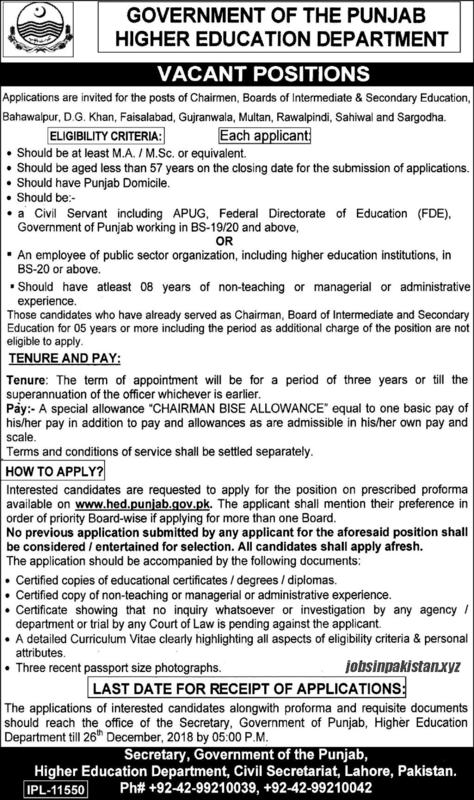 Jobs Description: Visit our site to check the Higher Education Department Punjab Jobs 2018. HED Punjab is one of the best education departments in Pakistan. The Government of Punjab recently announced an advertisement for Jobs in Higher Education Education. The Government of Punjab, Higher Education Department has required the applications for following jobs. How To Apply: The interested candidates may apply according to the Higher Education Department proforma.